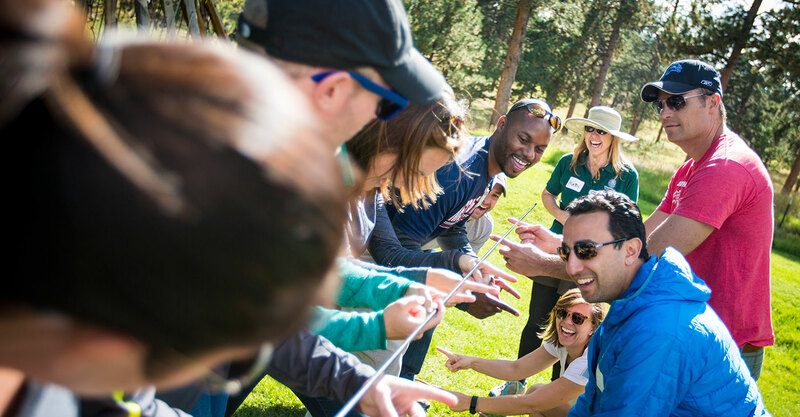 Our mission at the Denver Metro Chamber Leadership Foundation is to educate and inspire people who want to make a difference as leaders in their community. The Leadership Foundation has built strong, diverse leaders for more than 40 years. The values that guide us are the same ones we see in our community every day. We call them Colorado’s Civic DNA™, and we pass them on in everything we do. Shared vision: We’re always asking, what’s next? It takes leadership to rally a community, solve tough challenges and create positive change. We need passionate leaders with the right passion and skills to make Colorado a better place for all. Leaders aren’t born, they learn to lead by building the knowledge, skills, networks and experience that enable them to have the most impact. Leadership doesn’t always come with a title or an election. Each of us has the potential and the opportunity to lead if we care about our community. You’re never done learning as a leader. All along your journey there are opportunities to add new skills, relationships and experiences that will help you grow personally and make you a more impactful civic leader. The Leadership Foundation seeks to inspire a diverse community of civic leadership. We value the diversity of perspectives and contributions in our culture and programs. We recognize that the most effective leaders are especially adept at working across cultures and engaging people with different views in the spirit of collaboration for the greater good. We believe that how we work as leaders matters and that anyone who wants to work with us is welcome. This dedication to inclusivity is a part of Colorado’s Civic DNA, and we are committed to carrying it forward to make Colorado a better place for all. See how we’re delivering on our mission.